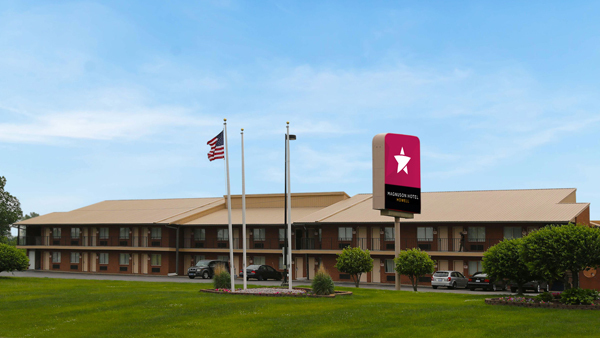 Magnuson Worldwide’s global hotel brand is proud to announce that the newly-renovated Magnuson Hotel Howell will remain part of the Magnuson family for many years to come. Magnuson Hotel Howell/Brighton is conveniently located off I-96 in between Detroit, Lansing, Ann Arbor and Flint. Whether traveling to Howell for business or leisure, Magnuson Hotel Howell is the perfect home away from home. Just a few miles away from the fabulous Tanger Outlet Mall and Green Oaks Shopping Mall there are many activities for guests to enjoy. Guests are also provided with complimentary on the go breakfast, free Wi-Fi, and many other amenities. Wooly Bully’s Restaurant, adjacent to the hotel, is a great choice for beverages, parties and dinner options during a visit.